I started studying for the LSAT really late. I'm currently taking the April - June In-Class Course and today will be Lesson 7. My Test 1 came out to be 149, Test 2 147. Test 3 will be this Saturday. I go to all of the classes, do all of the homework, started taking 2-3 PTs/4 section each week under proctoring situation (since last week). I study about (at minimum 6 hours) 7-8 hours a day, some times 8+ hours. I'm planning to continue this study plan until July. I haven't seen much progress and my test is in less than a month (June). I understand all of the concepts so far, but still miss lots of questions (I review all of the questions afterwards). 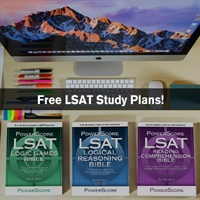 Do I have no chance of making it to 167 or so on the LSAT by June or July? Is this even a realistic option for me now? July has to be my last LSAT because I plan on applying ED for Georgetown August-September (first day it opens). Currently I've signed up for June and July (hoping July will be higher). My dream school is Georgetown. I've started to panic because my score is so low... What am I doing wrong? My confidence is steeply going down with this time constraint. Thank you for the question. I am going to try and answer it as best I can in a couple of different parts. Let me start with this: the feeling of losing confidence is one that many students feel at some point in this process. 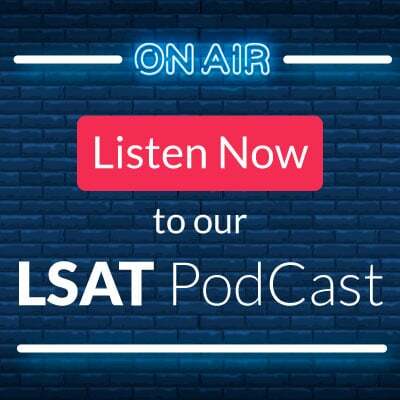 That's not to minimize at all what you are feeling, but simply to say that there are a lot of students who go through portions of their LSAT studying and get frustrated, burnt out, etc. at different times. Yet, we have seen many of these same students later improve and achieve great results. So no matter how you are feeling now, it is absolutely still possible to improve. You are studying a LOT. I get why - I can hear in your post how badly you want to succeed. Yet, sometimes, it can be more helpful to try and study smarter than to study harder. Try and ask yourself a couple of questions: are there certain sections you are struggling in more than others? Within sections, are there question or game types that you are having particular trouble with? You are taking the full course, which gives you access to the Online Student Center - if you haven't already, plug some of your tests in there and see from the analysis areas where you are weak. I would spend particular time on those sections - if you are struggling more in LR than RC, for example, spend time doing individual LR sections, even at the expense of doing full tests and/or some of the homework. I think the amount of time you are spending has a real potential to lead to burnout, and that can be really dangerous as you approach June and July. Consider spending a little less time studying overall and focusing on where you are weaker. At the level you are at (high 140s), the first thing you should be focusing on is getting the easier questions right more consistently. If that means you have to slow down and don't get to every question, so be it - your goal right now isn't to go from 147 to 167, it's to go from 147, to 150, to 153, to 157, and eventually, hopefully, into the 160s. But you have to be patient with yourself and allow yourself time to get there. Now to your question about when the progress will show: the only (frustrating) answer I can give you is that it truly depends on the student. Some students take the course and improve week over week, some go through the whole thing and it starts of click at the very end or somewhere in the middle, and some get through the course and need additional help in the form of tutoring or a more focused study plan. It really just depends. What I can say is that the fact that you haven't yet seen improvement does not mean that you won't; in other words, it may be that as you continue to work your way through the concepts they begin to click for you soon. But I can't know that for sure and it wouldn't be fair to guarantee it. At your current scoring level, I would recommend spending some of your study time reviewing the first 8 lessons even at the expense of the last 4...the core concepts are really in those first 8, and it's those core concepts that are going to push you into the 150s and hopefully 160s. I hope that helps with the study plan. If it's okay, I'd like to offer a little bit of additional advice about how to approach the admissions process (and I can speak with a little authority on this as I just went through the admissions process myself). It's clear you are dead set on Georgetown. I get it - it's a great, great school. 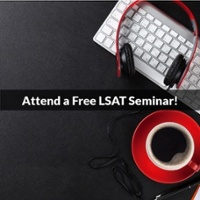 But the truth of the matter is that no matter your LSAT and GPA, you cannot guarantee admission anywhere, just as you have a chance (however small) at gaining admission anywhere. Let's say you got your LSAT up to 167, or higher - I know that is GULC's median. You still might not get in. Then again, you might get in with a 160 or lower...people do every year. The admissions process is guided by the numbers but not set by it; you never know which schools are going to love or hate your application for seemingly random reasons. So how can you respond to this knowledge? Feel free to apply early decision to your first choice, which can somewhat boost your chance of admission (you should know, however, that there is some evidence that applying early decreases your likelihood of getting scholarship money; after all, why would a school give you scholarship money if you have already committed to go if accepted?). But if you are going to law school, you should be comfortable going to at least a couple of different schools where you are at/around/or above the medians, because the likelihood is you won't get into everywhere you apply. Most people (myself included) tend to apply widely, get rejected from a couple of schools they considered "safeties," get accepted to a couple they thought were "reaches," and then get a mix of rejections and admittances from schools where they are around the medians. Finally, I know you said you are committed to applying this upcoming cycle. But everyone improves at different rates; given this fact, you might consider reducing the pressure on yourself by at least considering the possibility of applying in a future cycle to give yourself more time to study in the event the June/July tests don't go as planned. I don't know if that is an option for you and don't want to presume, but it is something to think about. I know that's a lot, but I hope this is somewhat helpful. Feel free to post any more questions! Thank you for the sincere reply, I appreciate it. I will continue studying, and make sure that I study smart. And I'm thinking from July, or August when my scores will be projected, I'll have a better idea of where I stand. I really don't want to go to any other school than T20, but I'll just have to continue studying and using my resources until test day. On a side note, my uGPA is 3.72, business undergrad, military experience, but not URM. My personal statement will most likely consist of my military experience, LORs will be from a previous supervisor from the military and my business law professor from undergrad. 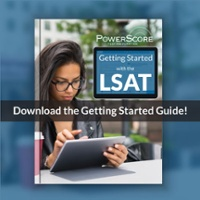 If my LSAT score improves (hopefully it will), do you think I can be considered a competitive candidate for Georgetown? I know I shouldn't be thinking in terms of "bare minimum", but what should be a "safe but risky" score for that essentially my GPA can afford to balance? I know my GPA is still .0X off from Georgetown's median, so I'm not even sure if I'm a competitive candidate.. am I losing too much hope (as I write)? As far as your question about what constitutes a "competitive candidate" for Georgetown...there's some pretty good data out there to give you a good idea. I like using the http://mylsn.info/r/pre-law/admissions/graph/ graphs and calculators...you can plug in your GPA and different LSATs to see what your percentage chance of getting in would be based on the results of people from past cycles, and also look at graphs of past applicants. It's not a perfect tool as it uses incomplete, self-reported data, but it gives a good estimate of around where you would need to be. Generally, since your uGPA is right around the median, you would want your LSAT to be right around there as well. Having a military background is an excellent soft, so you might outperform your numbers, but it is really hard for me to say. 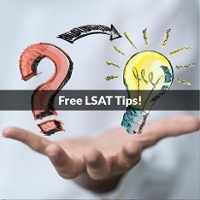 Without having taken the LSAT yet, I certainly think it is too soon to completely rule out any school - but my advice stands from my last post about trying not to get too attached to any individual school, and considering giving yourself additional time to study/retake LSATs if necessary. I hope that helps a little, and good luck!